The Ogden, the most in-demand address in Downtown Las Vegas, has officially launched as condominium residences, returning to its originally designed use after briefly being offered as apartments due to the economic downturn. The high-rise building, located on Las Vegas Boulevard one block north of Fremont Street, has undergone a considerable transformation that includes adding modern design highlights and refined finishes throughout 275 residences. The Ogden offers its residents an unprecedented opportunity to own in a vibrant neighborhood that enjoys unobstructed views of The Strip and the surrounding mountains. With prices starting from the low $200,000s to the mid-$600,000s, The Ogden has established itself as the premier development community in Las Vegas and proves to be unrivaled in the highly sought-after Fremont East District of Downtown. Featuring an amenity-rich environment, including a sky deck, rooftop pool, electric car service and smart technology like Nest Thermostats, The Ogden is poised at the crossroads of the most exciting dining, nightlife and cultural happening in Las Vegas. Choosing to own at The Ogden allows residents to take part in this dynamic lifestyle that is urban living. The Ogden offers a wide variety of floorplans to fit every lifestyle. Available one-, two- and three-bedroom plus den residences offer open concept floor plans with kitchens that effortlessly blend into comfortable living areas, and onto private terraces and balconies with panoramic vistas of Las Vegas. 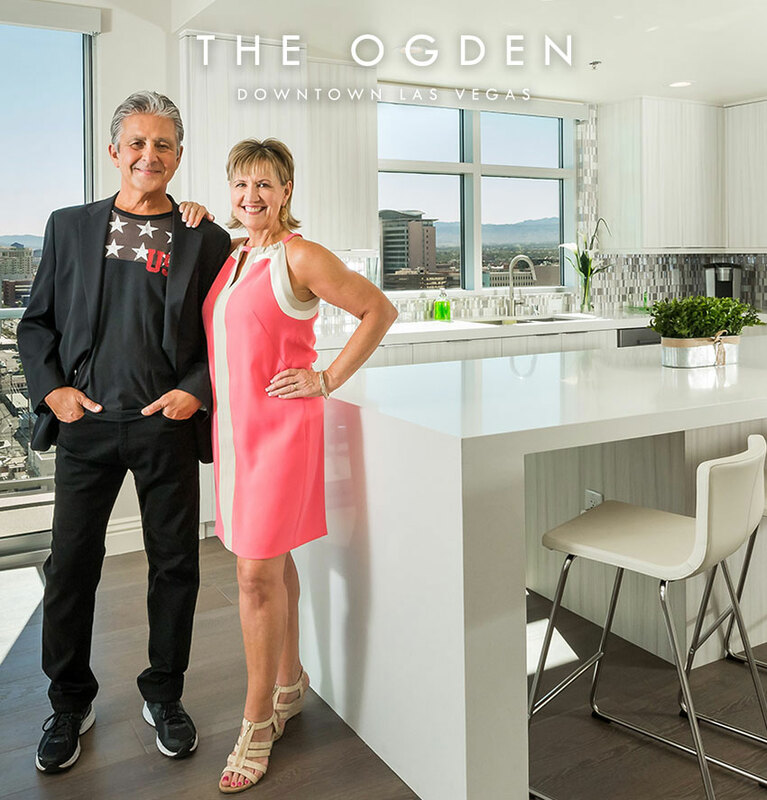 The debut of urban condominiums at The Ogden also marks a significant milestone in the Las Vegas real estate market as signs show that demand has dramatically increased and residents are eager to take part in Downtown’s cultural energy. For more information about The Ogden or to schedule a private presentation, please call 702.478.4700 or email info@ogdenlv.com.